Hyperparathyroidism is the term for an overactive parathyroid gland that results in the production of too much parathyroid hormone (PTH). It's typically linked to hypercalcemia, or excessive amounts of calcium in the blood. Located in the back of the neck by the thyroid gland, parathyroid glands play an important role in regulating calcium distribution in the body by keeping levels of this important mineral at acceptable levels in the bloodstream. Surgery is typically the recommended treatment for hyperparathyroidism. Involving about 85 percent of all cases, primary hyperparathyroidism is the most common form of the condition. It's often due to problems with parathyroid gland growth (parathyroid adenoma) and functioning. 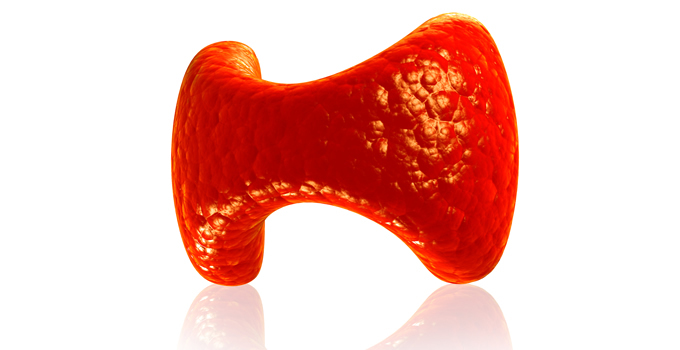 Secondary hyperparathyroidism is a form of the condition caused by another health condition. A common example of this is the development of hyperparathyroidism in patients with kidney failure. It may also be linked to any of the group of disorders that can affect hormone producing glands (multiple endocrine neoplasia). Since high calcium levels in blood or urine can have many causes, diagnosis can be a process of elimination. Confirmation of hyperparathyroidism is often made through a blood test that shows unusually high levels of PTH. Additional testing may include a bone mineral density test (bone densitometry), imaging tests of the kidneys, and urine collection for a 24-hour period. Treatment depends on the extent of the hyperparathyroidism and how it's affecting the rest of the body. In some instances, observation and monitoring may be recommended. This is usually accomplished with regular urine and blood tests. Bone density tests are sometimes done on a regular basis to determine whether or not bone strength is being affected. Most cases of hyperparathyroidism require surgical intervention in the form of a parathyroidectomy. It usually involves the removal of one of the parathyroid glands that is overactive. Occasionally, hyperparathyroidism is caused by overactivity in all four parathyroid glands. In this case, it often requires removal of three and a half of the glands, leaving a small piece of functioning parathyroid tissue to control calcium levels. Surgery may also involve the removal of tumors affecting these glands. When the hyperparathyroidism is caused by something other than primary overactivity of the glands, medication may be effective, though surgery may still be necessary to correct gland issues. The risks of surgery are low, though they include possible injury to the nerve that controls the vocal cords and the need for long-term calcium replacement. There is often no clear reason why parathyroid glands malfunction. In rare instances, hyperparathyroidism may be genetic in nature. Another obscure cause of the condition is parathyroid carcinoma, the development of tumors that secrete the parathyroid hormone, resulting in too much calcium in the blood and urine. It may result in a misdiagnosis of hyperparathyroidism. Patients often respond well to surgery or periodic monitoring if the condition is manageable.